Since 2012 David M. Parent and his Wealth Management firm Financial Vision, LLC have been selected as a FIVE STAR Wealth Manager by a joint Connecticut Magazine and Crescendo Business Services survey. We are proud of this designation which goes to a very select group of the wealth advisors in the state of Connecticut. By assisting clients in every aspect of their financial lives and providing the most personal service available, we have earned a reputation for industry excellence. Life is constantly changing with many obstacles along the way. We provide life solutions to keep you on the right path and help you create a vision for life. Our philosophy is to grow and protect your wealth so you are more confident about your financial life. Our comprehensive wealth management strategy system helps us to provide you with advice and recommendations on a variety of issues such as: investments, taxes, retirement and estate planning issues. 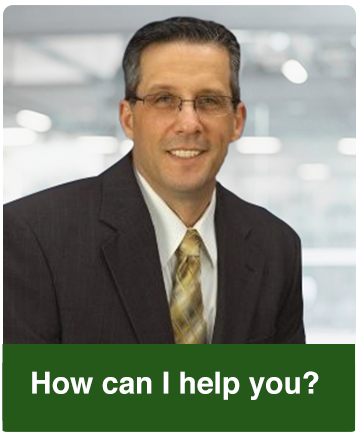 David has consistently excelled at providing advice and service to his clients. He is ranked in the top 6% in the Advisory Council with Securities Service Network, LLC. Once awarded, wealth managers may opt to purchase additional profile ad space or related award promotional products. The award methodology does not evaluate the quality of services provided. The award is not indicative of the award winner’s future performance. In 2012 2204 Connecticut wealth managers were considered for the award; 503 (approximately 23 percent of the award candidates) were named Five Star Wealth Managers. In 2013 2263 Connecticut wealth managers were considered for the award; 531 (approximately 24 percent of the award candidates) were named Five Star Wealth Managers. In 2014 3,926 Connecticut wealth managers were considered for the award; 515 (approximately 14 percent of the award candidates) were named Five Star Wealth Managers. (2) had more than a total of three customer complaints filed against them (settled or pending) with any regulatory authority or Five Star Professional’s consumer complaint process, (3) individually contributed to a financial settlement of a customer complaint filed with a regulatory authority, (4) filed for bankruptcy, or (5) been convicted of a felony.